Circling, encircling, turning full circle: the not altogether lucid experience of summer. A film festival playing out in the midst of it is inevitably infected with its spirited grandeur as well as the emptiness it leaves behind. Il Cinema Ritrovato, in part due to its festival time slot and the sultry air of the Emilia-Romagna basin, but also thanks to the programming that charts new-old discoveries onto the sketching boards of all manner of visitors, remains the keeper of an (as of yet) unconquerable and somewhat irresistible meandering line leading through film history, albeit enveloped in a misty light that leaves much to the imagination. It’s hard to keep from wondering what would happen if something were to change; if, for example, a new kind of territory, be it cinematic or geographic, were to appear on the festival maps or another manner of introduction and discussion set in motion. The history of cinema may prove itself inexhaustible if we reach deep enough. As it is, we participate in the swerving, latching onto a creature of choice and following it all along the line. And there it is, the line itself come to life in a tremor: Luciano Emmer, whose La ragazza in vetrina (1961) pursues the light by parting from it in one of the first shots. A group of miners goes underground in Holland – its members are, for the most part, Italian immigrants who left home looking for work and money to send back. Vincenzo is a new arrival and it is his gaze that propels the gut-sinking feeling as the crew drop down into the dark pits of the Earth, the bead of light above becoming smaller by the second. Their descent is planned, it is supposed to bring them something but, instead, they are buried in a mine shaft on one of Vincenzo’s first trips down. You can carry your light with you, but you can also be buried together with it. After a few days, the survivors, Vincenzo and rowdy, boisterous Federico (a magnanimous Lino Ventura) among them, are dug out by their colleagues and Federico convinces the youngster that he deserves a weekend in Amsterdam before returning to Italy, a decision he arrived at after the catastrophic accident. This is where the mermaids come in, filmed as they’ve rarely been filmed before, in real locations the likes of which we’ve hardly ever encountered. What then of another find, a small jewel of botanical imagery which seems to float as the blossoms turn on their axis before the camera, colors peeling off them in slivers of green and red? The seven-minute Varieties of Sweet Peas (1911) shows F. Percy Smith, pioneer filmmaker and great naturalist whose films have recently been assembled into a collage called Minute Bodies (2017) by Stuart Staples of the Tindersticks, gently opening a box full of flowers. 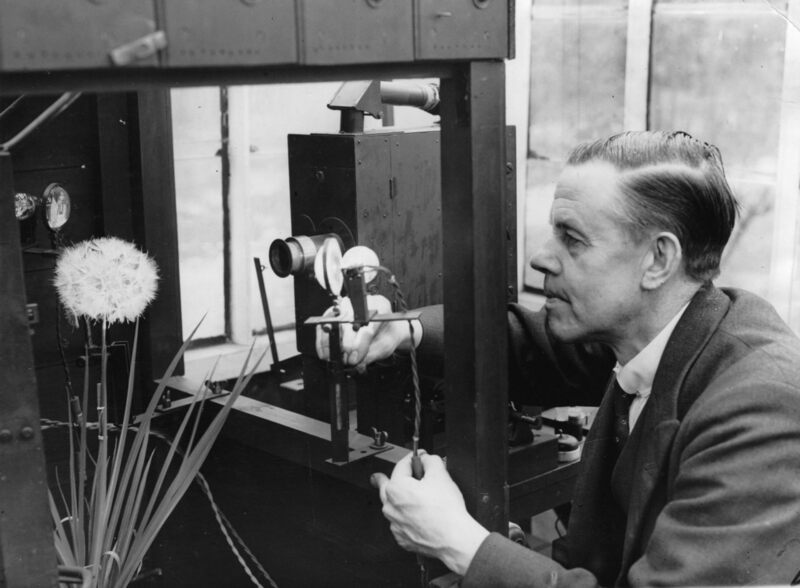 All that in Kinemacolor, a short-lived beauty of an early additive color process revived. What of Ella Bergmann-Michel’s 1932 short Fischfang in der Rhön (an der Sinn), ripe with the mystery, stillness and life of water? Its transparencies are captivating; tadpoles make music with waves and fish, visual music that overflows in double exposures. Plants are reflected in the water, and dandelions and shadows filmed near the river. A cat slinks through the grass, an epitome of the unknown. All the while, a man is angling on the shore. The man ends up with a fish on his hook, the cat with a bird in its mouth. Something is awry, certainly. Something is ruthless and running amok in the crystal waters. We can’t tell where it ends or begins, since all is water, which is at once “life and a threat to life; it erodes, submerges, fertilizes, bathes, abolishes,” writes Claudio Magris. And if we now do turn full circle to Luciano Emmer, we will arrive at a wonder: his non-fiction essay films. Two of these are notably located (almost) on water, revolving in and around Venice, a city that Emmer treasured since his childhood days spent there. 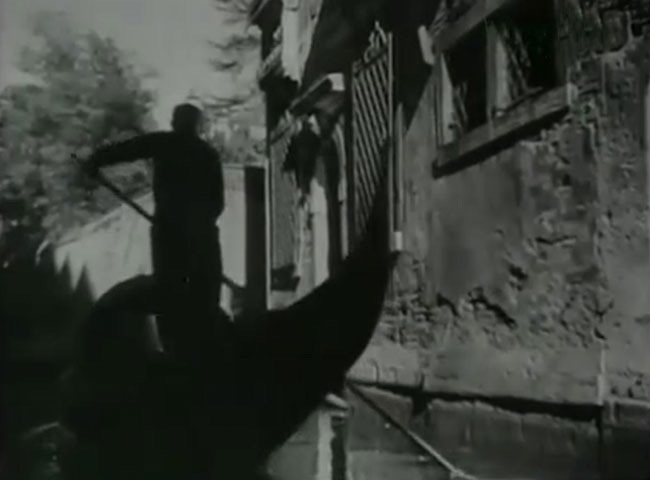 Venise et ses amants, with Jean Cocteau reading the text, illuminates the melancholy air of many who succumbed to its charms and blended their touch and flame to that of the city, such as Keats, Lord Byron and George Sand. Their words and ghosts are reintroduced into Venice as palaces collapse their shadows into the sea in the astonishing ambition of reaching for the sand and stars all at once. But then the circle widens, opening towards the Venetian Gulf and, most importantly, the lagoon. Isole nella laguna (both films were made in 1948) roves the small islands protruding from the sea and their few remaining inhabitants, recording landscapes both disappeared and disappearing, always on the very brink of existence. Its children eat blackberries without paying heed to the bones moved there from the overflooded Venetian cemeteries, the patients of the San Clemente insane asylum cling to a grate as the camera approaches on water, though whether to keep safe or in a desire to escape will forever remain unclear. There are those who embroider and blow glass into being, as if to say the human hand can only work to create miracles in this world. Magris, writing on the nearby Grado Lagoon in his Microcosms, says it best: “Poetry is pietas, humility – closeness to the humus lagunare (…) – and the fraternal pleasure of living. The waters of that immemorial humus are dark, the batela glides calmly, the hand guiding it knows how to sculpt a face mined by the years, to etch the profile of a landscape.” This life is ancient and young and made for meandering quests. Let at least one of them be a festival of intermittent light.